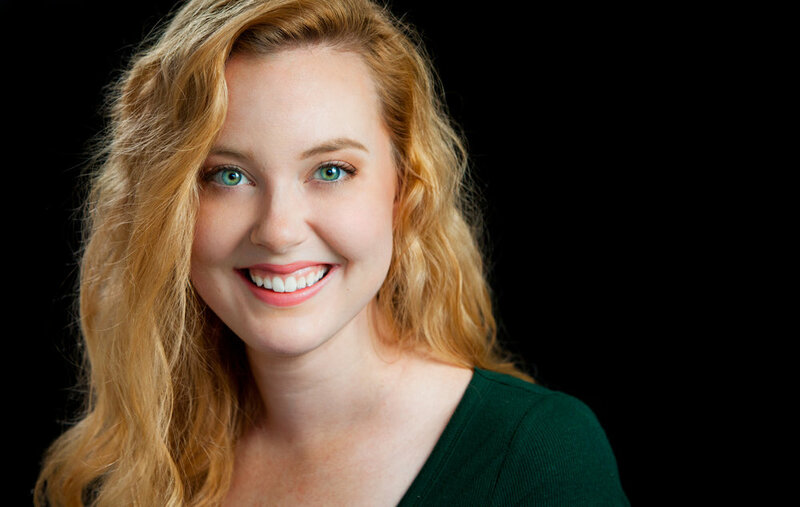 “I have been studying at The Vocal Arts Institute with Ms. Jen for about 4.5 years now. Taking vocal lessons at TVAI has helped me become a more well-rounded musician and artist. Ms. Jen has taught me so much about vocal health, proper vocal technique, industry etiquette, and the importance of experimenting with various genres (especially including the ones that I don't feel extremely comfortable with). My favorite TVAI moment was singing in my first concert with the studio. I worked very hard to prepare for it since I knew that I was one of the newer students and somewhat of the underdog. I felt extremely proud and accomplished afterward. Since this moment, I grew a very deep appreciation for studio class, as I have recognized that it has really helped me become a better vocalist and performer. Through my years at TVAI I have learned to always be kind to everyone. No matter how much recognition I receive or how successful I become, I believe that humility and genuine kindness should always be present in my personality and attitude. By acting like this, it shows that I respect others working with/for me, and that I am thankful for the opportunities I have in each moment of my career! In the fall this year, I will be attending the University of Miami as a MADE (Musicianship, Artistry Development, and Entrepreneurship) major in the Frost School of Music. My main goal is to be a recording artist, but I would also love to work at a record label as an A&R. I'm excited to see what the future holds, and I thank TVAI for building my solid vocal foundation. I feel prepared and ready to enter this new chapter in my life!" "I have been studying at the Vocal Arts Institute with Ms. Jen since the 6th grade, so for about six years now! I would certainly not be where I am today without all of Ms. Jen’s coaching in every aspect of my performance. Without her, I would never have discovered or come to love classical singing, and I certainly would never have even thought about pursuing music in college. Ms. Jen made me the singer I am today, both technically and emotionally. My favorite TVAI moment was probably the first studio recital that I performed something classical in. Even though I wasn’t completely on board with the song, everyone in the audience told me afterwards that it was the best I had ever sounded. This was the moment for me that I realized that classical singing was my true calling. During my time at TVAI, I have learned and grown to understand that criticism needs to be taken with a grain of salt. People’s perception of your singing is very subjective, and to be a confident singer, you have to be able to differentiate what truly needs to be fixed in your performance verses someone else’s personal preferences. This fall I will be studying vocal performance at Boston University! After my undergrad, I am planning on applying to a graduate program, and from there I will begin my career as a professional opera singer. If you know anyone who is considering taking voice lessons, do as best as you can to try and convince them to take some, (preferably with Ms. Jen!) because singing is a very learned skill. No one is born a wonderful singer with perfect technique right off the bat. Everyone has something to learn or improve on. I think everyone should be able to express themselves through music, so why not give singing a shot?!" Caroline Chung singing “II bacio” at the TVAI Spring Fling Concert in 2018. Caroline Chung’s Senior Recital at TVAI. "I am going into my junior year as a Musical Theatre (BFA) major at Shenandoah Conservatory in Winchester, VA - expected graduation May 2020. My first semester of freshman year I was fortunate enough to be cast as Wendla in our school's production of Duncan Sheik and Steven Sater's Spring Awakening. Studying with Jen took my appreciation and passion for performing to a new level. She always had new tricks up her sleeve, all of which were super helpful and still apply to my training. She helped me build an incredibly strong foundation in technique, which allowed me to grow in other styles of singing outside of Musical Theatre. Jen was also great about giving us different opportunities to perform for audiences, which is especially beneficial for young students who hope to pursue a career in this industry. My advice for current TVAI students would be to never give up. If singing or performing is what feeds the fire inside of you, go for it. Don't listen to those who tell you it's not a reliable career. If you love it, you'll learn to love the struggles that come with it, and you will find your way. Have faith, trust in yourself, and follow your dreams." Shannon Connors singing ‘For Good’ with Kristen Chenoweth at Wolf Trap. Shannon Connors singing ‘Love Me, Love Me Not’ at a cabaret event. "I graduated with my Bachelor of Fine Arts in Musical Theatre from Missouri State University in 2015. Upon graduation I relocated to Los Angeles for two years, and pursued music and acting while being Lisa Loeb's assistant. I am currently back in the DC area continuing my pursuit of music and acting, in addition to being a social media coordinator and influencer. I also have a single out on iTunes called Stupid Beautiful Heart by Christina Lea McCarthy. Prior to meeting Ms. Jen, I was a young teen with huge dreams and zero skills. She helped me find my true voice (instead of trying to sound exactly like Kristen Chenoweth), and I left TVAI feeling confident in my talent and training. I always brag about my high school senior recital with Ms. Jen because under her amazing guidance, I sang in six different languages in one recital: English, French, German, Latin, Spanish, and Italian. She always pushed me to do things I never thought I could do, was always such a great listener, and was my biggest cheerleader. Ms. Jen's influence on me made me fall in love with singing. Her constant encouraging guidance, incredible technical tips, and overall training curriculum, prepared me to be successful in both college and after school, and I am so glad I can now be paid to do what I love. I give so many thanks to Ms. Jen for my successes! I cannot sing her enough praises! My advice to current students is to do what Ms. Jen tells you to do! She absolutely knows better than you (it took me a long time to accept this). Work hard while you have her, come in prepared to get the most out of your lessons, and never pass up an opportunity to sing in front of an audience. Ms. Jen provides a lot of opportunities to sing in public. Partake in all of them and find more on your own! You will grow so much by putting yourself out there. I came back to Ms. Jen countless times with a hilarious story about how I totally flopped an audition; but that's how I learned! Savor your precious time with her, folks! She's a rare gem in the sea of voice teachers." Christina McCarthy performing a duet titled ‘Pie Jesu’ with Jennifer Randall at her senior voice recital. Christina McCarthy performing ‘Flower Duet’ with Jennifer Randall during her senior voice recital. "I have been a student at The Vocal Arts Institute for almost a year and a half. Taking vocal lessons under the direction of Ms. Jennifer Randall M.M. has transformed me into the performer and person I am today. I have learned so many valuable skills and lessons at TVAI that I believe I will remember and use for the rest of my life. I have made many wonderful memories at TVAI, and I am so thankful for all that Ms. Jen has done for me. She has taught me the importance of hard work, commitment, and responsibility; all of which I know I will carry with me throughout college. It has been so rewarding to watch my progression as a singer in such a short time, and I know I could not have done it without her! In the fall, I will be majoring in Musical Theatre at Liberty University. In addition, I hope to minor in something else. I would love to be a performer one day, and use my training to help train others. I am so thankful to Ms. Jen and to TVAI for all they have done for me, and I look forward to beginning this new journey in my life!" "I began taking lessons at The Vocal Arts Institute in September of last year. Taking classes with Ms. Jennifer Randall really helped me prepare for my college auditions and spring musical auditions. The training and advice she offered me was absolutely terrific! Not only did it allow me to land a lead role in The Little Mermaid, but it also helped me get accepted into my dream school’s acting program! In the fall, I will be attending Pennsylvania State University to earn my Bachelor of Fine Arts in Acting. My hope is to perform on stage and television and in films! My favorite TVAI moment was when I told Ms. Jen that I was accepted into Penn State! This happy moment was very rewarding for both of us! Ms. Jen taught me the importance of seizing every opportunity that is presented to me in this industry. She reminded me that even though this line of work is difficult, it will be worth it because I will be able to do what I love the rest of my life! I will cherish Ms. Jen's advice for a long time and I look forward to pursuing acting in college." 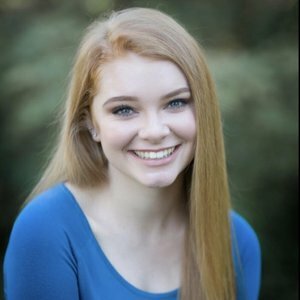 "Though I have only been a student at TVAI for six months, training with Ms. Jennifer Randall has significantly strengthened my acting technique. I have learned many new acting tips and tricks, and I feel much more confident as a young actress now! My favorite moment at TVAI was preparing for my college auditions with Ms. Jen. Our hard work on my numerous monologues definitely paid off because I felt very prepared and confident going into my auditions. The process of perfecting my monologues was difficult, however not only did it teach me a lot about my acting skills, but it truly shifted the way I now see myself as an actress. I learned that I need to always believe in myself no matter what, and that I must continually find the joy and passion in what I am doing with my acting, regardless of whether or not it is in an audition or stage setting. In the fall, I will be attending George Mason University and I will be studying Theatre Performance. Upon college graduation, my plan is to possibly move out to California and begin my auditioning journey for film work. Ms. Jen is such an amazing teacher and mentor and I am so grateful for everything she has taught me during our brief time together. I look forward to carrying on the knowledge I have learned from her in my future auditions and shows!"